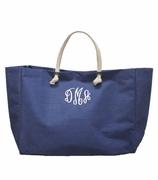 Be a trend setter with this personalized monogram turquoise and white chevron stylish tote bag. Perfect bag for overnight and travel. Outside zip pocket, roomy lined interior with zipper pocket. Wide footed bottom, easy one night traveler for all essentials. Stylish tote bag measures 20�W x 14�H x 7� across the bottom. Nylon exterior, easy clean fabric. Lined, web handles and zipper closure. 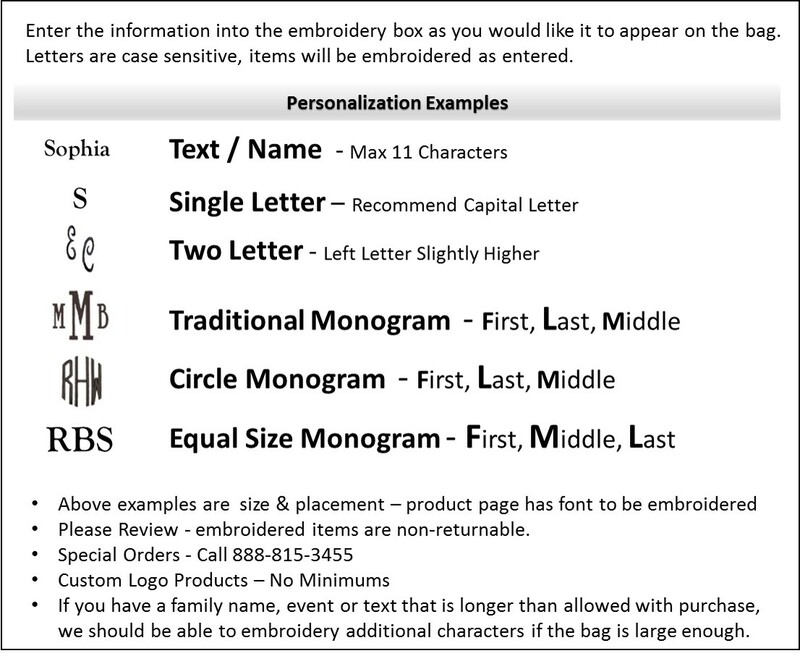 Add a personalized name or monogram for a unique keepsake gift. I purchased these bags and had them monogrammed as bridal shower gifts and they are absolutely perfect! They were shipped in a timely manner and customer service called me when one of my bags was on back order to let me know and see if I needed anything rush delivered. Very happy with the service and quality, I will definitely be doing business here in the future! I purchased 4 of these bags all for my bridal party! They look great and I am very happy with them. I use this bag for my tennis bag. The engraved initials look real nice and it's very roomy. Price was great too.